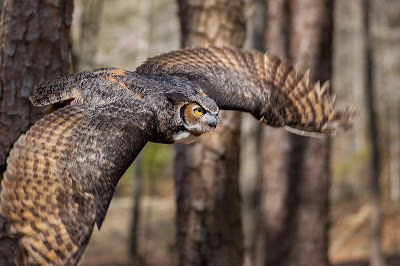 You are setup in a place where the wildlife is very close and moving at high speed. You have very little time to react, so you pick up the camera and try to use your focusing points to get a good focus lock on the subject and begin to fire away. In only a moment's time the subject is in your frame and gone. With great anticipation you scroll through the series of photographs on your camera's display only to find that none are in focus. What happened? You have the best camera made and yet none of the shots are in focus. The answer is that cameras simply cannot lock and follow a subject that is that close to your camera and moving at such a great speed. Had the subject been farther away your camera would have had time to lock and use predictive focus. So how can you handle this situation? How can you take home the winning shot? Many new photographers may look at me with a very blank look when I use the term "zone focusing." Zone focusing is simply pre-focusing your camera in a spot on the ground where the subject will eventually move through the scene. There are times where there are too many distractions or the subject is too close for your auto-focus system to lock onto the subject or lock onto the right subject. It may try to find a lock on a tree or the ground before it locks onto the fast moving subject. No matter how advanced your camera's auto-focus system is there are times where you must use zone focusing. So how exactly do you zone focus? There are two ways to pre-focus your camera, but only one will work with any camera. The first is used for cameras which do not have a button dedicated to focus or are manual focus cameras. First, you should switch your lens to use manual focus. After switching to manual focus, find a spot on the ground within the path the animal or person will be moving. Now change your camera's drive to use as many frames per second as it can handle. My Canon 1 Series can shoot at over 8 fps which makes it ideal for zone focusing, but any camera can capture the action even cameras as low as 3fps. Next, as the subject moves into the the spot or zone you have focused on, hold down the shutter button and let the camera fire off as many frames as it can. Release the shutter button as soon as the subject is past the area where you focused. That's pretty much all there is to it. Some of it is just a matter of luck based on the speed of the subject and how many frames per second you can fire off. Hopefully this will help those who are struggling with photographing a subject in difficult auto-focus conditions and for those still using manual lenses this is about the only good way to capture action in my opinion. This technique does take some practice to know just how far out to focus based on the distance and size of your subject but it can be mastered quite easily. 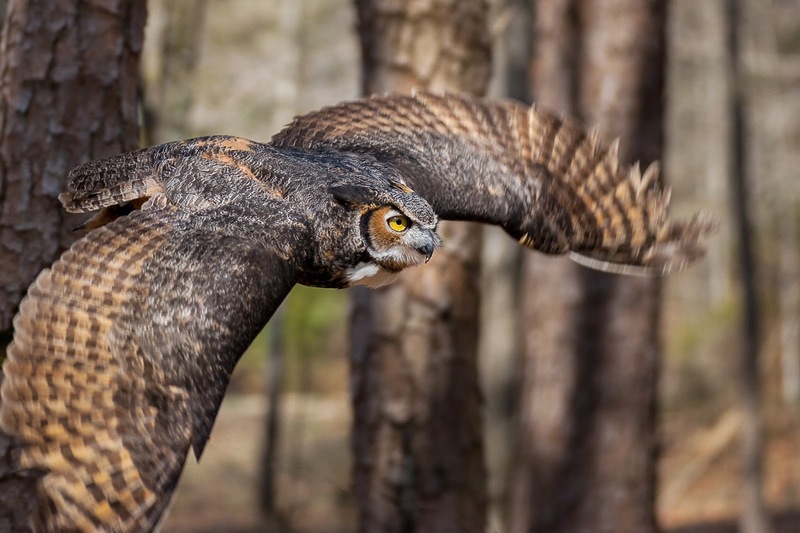 This great horned owl was captured using zone focusing. He was simply too close to accurately track using even a modern Canon 1 Series camera.